Originally, with us being in the Seattle sans enfants, we were planning to hit up some restaurants that were not kid-friendly. However, due to our power shopping and picking up goods from Goose, we didn't have a whole lot of time to eat. We even ate the free breakfast at our hotel (which was not really blogable - the horror!). 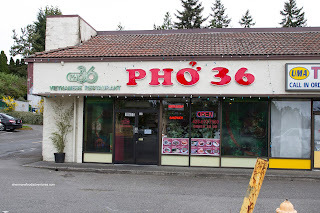 Since we, wait, I mean Viv still had lots of shopping to do, we stopped for a quick lunch at Pho 36 in Lynnwood. We had the Salad Roll first and it was quite good. 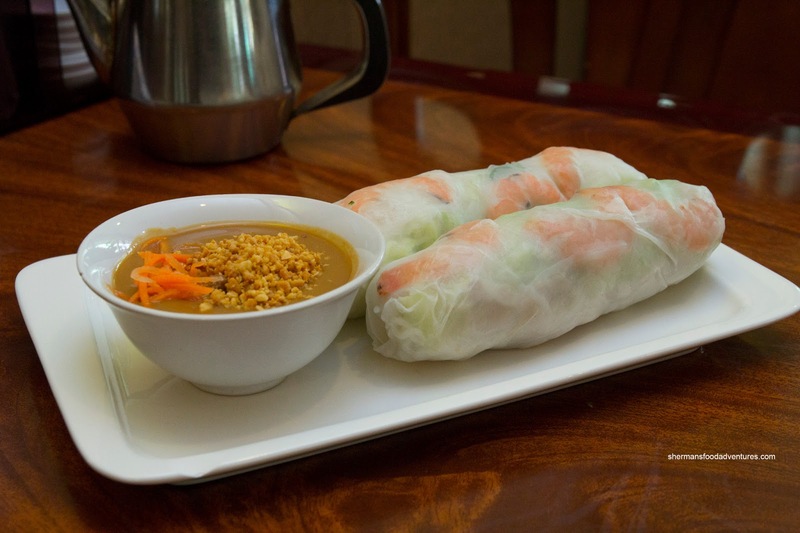 As evidenced in the picture, the rolls were large and properly constructed with vermicelli, lettuce, basil, sprouts, pork and shrimp. The rice wrapper was moist while still retaining a nice elasticity. Furthermore, the dipping sauce was balanced between peanut and hoisin. 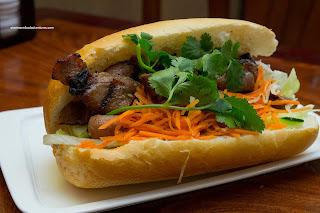 Continuing on the large theme, the Grilled Pork Banh Mi was loaded with filling. Being chewy, yet well charred, the pork had a nice smoky flavour. There was too much mayonnaise for our liking as the sandwich was too saucy. We felt the bun was far too large and dense despite the crustiness of the outside. 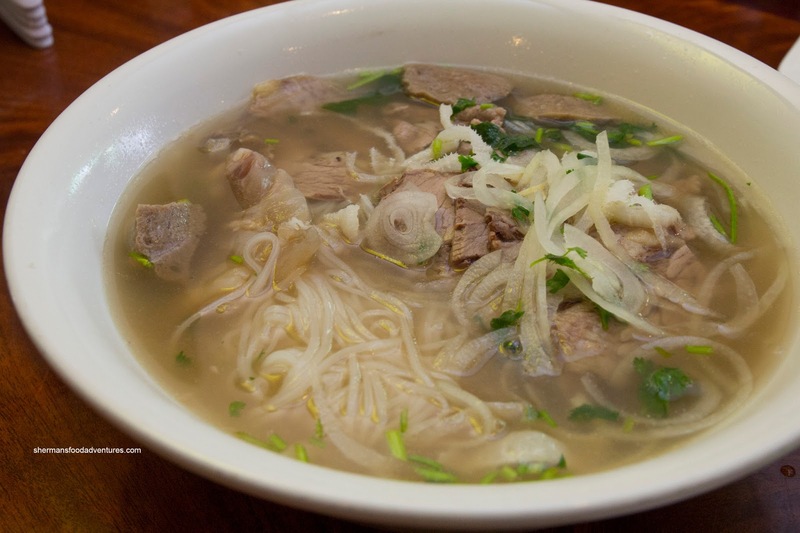 We shared a bowl of Pho Dac Biet which featured a pretty mild broth. It was on the sweeter side with hints of daikon. There was a sufficient amount of noodles as well as tender meats. However, there could've been more of each. 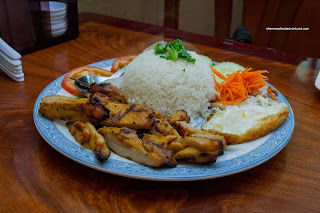 Finally, we had the Lemongrass Chicken on Rice with a fried egg. The sliced chicken was kissed nicely by the grill and exhibited plenty of sweetness and smokiness. It was slightly dry but not terribly. The rice was dry as well, but the runny egg yolk helped alleviate that. 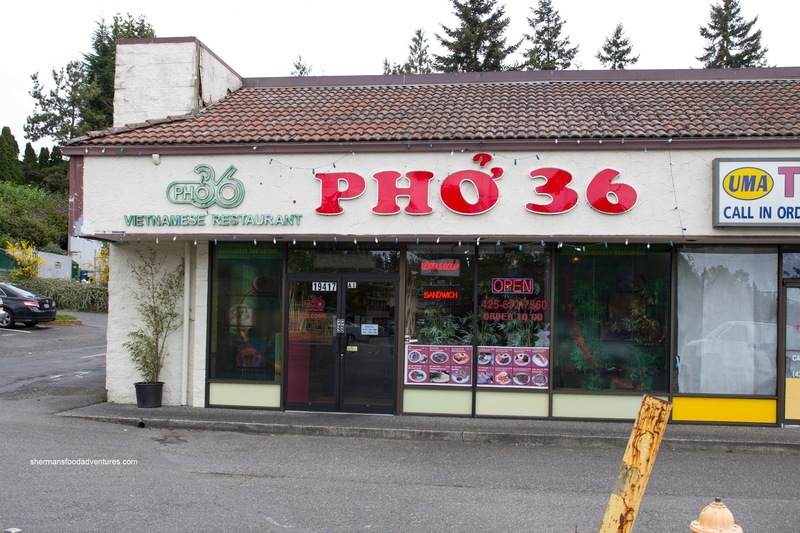 As with most Vietnamese joints, Pho 36 did the job without incident. A quick, cheap meal when shopping trumps eating.